Some of the letters to Santa were highly decorated in order to better get his attention. Editor's Note: Ben Holbrook went to the Darien Post Office and read a number of letters addressed to Santa. The Darien News is only using children's first names. Santa's workshop will have to kick into full swing when the latest batch of letters arrives from kids in Darien. 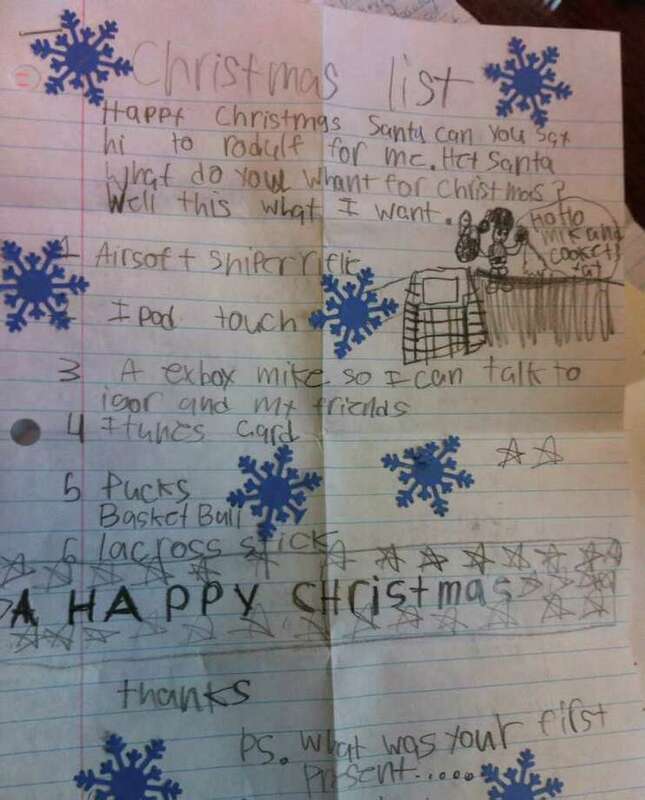 In addition to asking for an assortment of toys and other items for Christmas, Sara made a special request to Santa. "I would take anything else you might think I would like and one of your sleigh bells," Sara wrote in her letter. Trying to be good for the holiday season can be a daunting task for anyone and Emma asked Santa to be a little lenient when judging her behavior. "I really try to be nice, but sometimes it's really hard and I do believe in you," she wrote. Like Emma, Ethan highlighted the reasons why Santa should fulfill his Christmas wishes since he was able to behave himself so well. "I personally believe that I have been good this year and I kindly request that I acquire these presents," he wrote before launching into a list of items he hoped Santa would give him. Making sure Santa was aware of how good they were was a popular theme as Riley pointed out all the people he had to be nice to in order to earn a spot on Santa's "nice" list. "This year I have been a very good boy. I have also been excessively nice to both my parents, brothers, peers, etc. So I don't think asking for the following presents would be that much trouble." Some of the requests made to Santa read almost like an advertisement as the author of the letter had clearly done his research when making his list. "Will you please get me This Hamster Talks Back! It's pre-loaded fun that's never the same toy twice," Ethan, of Norwalk, wrote. Where some letters would ask for more general toys or other items, some were very detailed in what exactly the person wanted. Brynee, 6, of Darien, asked Santa for a doll house with a few specific requirements that needed to be met. "I want a doll house with three floors and an elevator in it," she wrote. Even though all of the letters requested something from Santa, some asked how the other inhabitants of the North Pole were doing or even warned Santa of any potential hazards in their homes. "I would like these toys for Christmas. Say thanks to the elves for me," Jackson wrote. "P.S. Our chimney has logs in it so warning." Griffin decided to take a different approach to asking Santa for gifts and instead first asked Santa what he wanted for Christmas. "Happy Christmas Santa. Can you say hi to Rodulf (sic) for me. Hey Santa what do you want for Christmas? Well this is what I want," he wrote. The letters are now at the North Pole for Santa to read after being processed by the post office and all of the letter writers can expect a response from Santa.